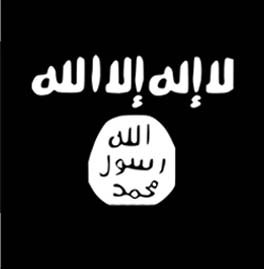 Caucasus jihad: Terror tactics back on the horizon? 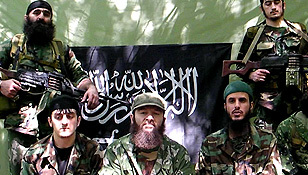 Dokku Umarov (center) and other jihadists with the Caucasus Emirate shahadah flag in the background. Click to view. Recent attacks in the Caucasus and statements by the leader of the Caucasus Emirate indicate the jihadist movement is reverting back to the use of terror tactics that plagued the second war of Chechnya. This potential return to terror tactics may be an attempt to implicate the governing elites as illegitimate and incapable of effective rule or security over the region, in response to Moscow’s claims that the insurgency is officially defeated. “Allah has helped us, in the meanwhile, to restore all Jamaats (groups) in Caucasus…I consider that the main victory is that we have restored Riyad-us-Saliheen, Jamaat of our dear brother Shamil [Basayev],” he continued. 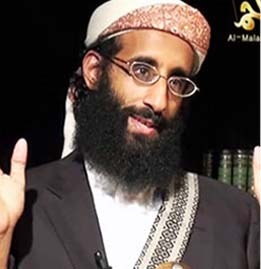 The Riyad-us-Saliheen brigade was commanded by the infamous warlord Shamil Basayev. This brigade carried out suicide attacks and the most deadly attacks in the Caucasus and in Russia, including the Beslan school hostage crisis, the destruction of commercial airlines, and the theater siege in Moscow. “After this Jamaat was restored, it carried out two successful operations: one was carried out in the territory of Vedeno… and another operation was also carried out by our Mujahideen in the territory of Russia, in the town of Vladikavkaz,” Dokku continued. The first attack Dokku referred to is likely the suicide bombing in August 2008 at a military base in Vedeno, Chechnya, against the Yug battalion, a Chechen Interior Ministry security unit. The second attack Dokku appears to have taken credit for is the female suicide bombing in Vladikavkaz, the capital of North Ossetia, in November 2008 that killed 12 civilians. 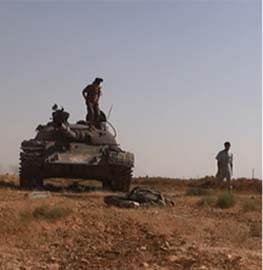 A group claiming to be the Riyad-us-Saliheen brigades took credit for the attack. The brigade had been fairly quiet since 2004 following the Beslan school massacre, and disappeared after Shamil Basayev was killed in 2006. Whether the Emirate officially launched these suicide attacks during the time of operation is still in question. Even so, Dokku has chosen to endorse, claim responsibility for, and associate his movement with an attack against civilians in recent times. This represents a marked deviation from the Emirate’s use of more conventional attacks in the past. 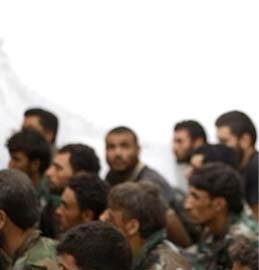 Dokku stated that the Riyad-us-Saliheen brigade will carry out attacks all over the territory of Russia and describes this year as the “offensive year.” He argued that because anyone who aided the defiant Muslims is “eliminated,” presumably by the Russians, the Emirate has the right to “eliminate” Russian civilians. Dokku criticized the pro-Kremlin President Kadyrov for attempting to present Chechnya as an “oasis of well-being in the territory of Russia.” Dokku presumably responded to Kadyrov’s rosy statements concerning Chechnya’s exceptional security and urban development early in the month, following Moscow’s announcement that it was ending the counterterrorism campaign. Dokku concluded his speech by claiming that “those people who are living today in the territory of Russia” are responsible for Russia’s soldiers, leadership, and the wars against Islam. 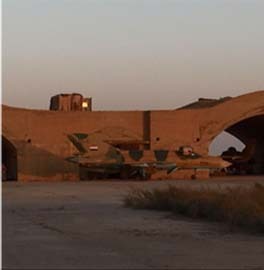 It should also be noted that modifications for the Emirate’s operational zones have been implemented. On May 11, 2009, General Vekalat, the official website of the General Mission of the Caucasus Emirate, posted new decrees from Dokku Umarov announcing the official abolition of Ossetia as a recognized province in the Emirate. The Emirate now considers Ossetia to be annexed territory within the insurgency-plagued province of Ingusetia. This could pave the way for militant activity to spill over into North Ossetia. Dokku stated that all militants in the abolished province of Ossetia are now under the command of the Ingusetia Jamaat, led by Amir Magas. His zone of responsibility is now expanded and is to be considered a single operational field. If the latest statements from Dokku Umarov are sincere, the mainly Russian Orthodox Christian province of North Ossetia could become a new theater for the Riyad-us-Saliheen brigades to resume terror operations against civilians. The group claiming to be the Riyad-us-Saliheen brigade appears to have adopted an Ingush identity. Previously, when commanded by Shamil Basayev, it had a strictly Chechen cause and identity. If there is any link between the officially revived brigade announced in Dokku’s April 25 decree and the brigade of the same name which appears to have shifted to an Ingush-centric cause, then there may a connection with the later May 11 decree calling for Ossetia’s annexation. Taken together, these two decrees may serve the purpose of promoting attacks against civilians in North Ossetia, at the hands of Ingush militants. The first potential indication of Dokku’s new direction took place on May 15 when a suicide bomber blew himself up after failing to enter the Interior Ministry of Chechnya’s capital, Grozny, killing two policemen. This came just a month after Russia had ended counterterrorism operations and Kadyrov stated that the insurgency was crushed and defeated. This attack signaled that the insurgency is still active, and perhaps in a more violent form than previously. The Pro-Kremlin President Kadyrov responded with ferocity to this suicide attack in the center of the capital, which is most likely the response Dokku desired. Kadyrov immediately canceled the option of amnesty for militants, eliminating options for future surrender amongst the currently active militants. He launched aggressive counterterror operations into the mountainous regions with the cooperation of security forces from neighboring Ingusetia. These operations are currently in progress. A return to extremist tactics, with reliance on suicide bombings, explosives, hitting high profile targets in urban centers, and attacks against civilians, may be on the horizon. This would be a deviation in strategy from recent years when Abdul Halim Salamovich Sadulayev became President of the Chechen separatist movement on March 9, 2005. He had been able to influence the movement into adopting a more moderate approach in its operations. He ensured that fighters, including Shamil Basayev, abandoned terror tactics that would target or harm Russian civilians, and he was especially opposed to the taking of civilian-hostages. This more moderate direction of the movement lasted for some time after Sadulayev’s death on June 17, 2006. Nearly a year and a half after Dokku succeeded Sadulayev, Dokku officially declared the establishment of the Caucasus Emirate on June 17, 2006. When Dokku created this Emirate, he officially abolished the sovereign Republic of Chechnya (the official name being the Chechen Republic of Ichkeria) and his title as president. All previously recognized Republics, which former President Sadulayev had agreed to expand the war into, would take the form of Wiliyats (provinces) within the single entity of this Emirate. Dokku describes this Emirate as being borderless and and having active bases “from Azerbaijan to Abkhazia.” Despite the alignment in the direction of a purely Islamist movement, there was still little to suggest the group would alter its mode of battle operations and return to its past terror tactics. “Now the Chechen Republic… is a peaceful, developing territory, and canceling the counter-terrorism operation will only promote economic growth in the republic,” Kadyrov further stated. Dokku may be attempting to undermine Kadyrov’s latest statements as false, as well as to challenge Kadyrov’s legitimacy as a leader who can bring stability and security to Chechnya. If this is the strategy Dokku has chosen in his confrontation with Kadyrov and Russia, then a return to suicide bombings and terror tactics could be seen as an efficient logistical step. Although terror tactics based on seeding fear in the public will not win large-scale victories in war or gain any territory, adopting such tactics can serve to embarrass the governing authority and call into question its claims of bringing prosperity and security to the region. As a result, the public’s trust in the ruling elites can be compromised and what is left is the image of a dysfunctional government. Some argue that a similar tactic is currently being deployed in Iraq by Al Qaeda once again, with its increased wave of suicide attacks and bombings in Baghdad attempting to undermine the security apparatus. Until recently, it was thought that the Caucasus jihadist movement had outgrown these terror tactics. However, with Dokku’s latest decrees mirroring the beliefs of the late Shamil Basayev; and a recent wave of attacks throughout Dagestan, Chechnya and Ingusetia; the seriousness of the situation could certainly pose a tough test for Moscow and Kadyrov in convincing the public that the counterterrorism campaign is indeed over. As I recall, the school was bombed by gas (Russian gas), the “terrorists,” turned their guns on their own man and dropped him. The country has remained under continued games of war and that has placed it in a torn condition and is it now frequented by Russian covert agents. Not to choose an obvious side but at least tell all of the story for the obvious reason. It appears that none of them will ever get into the UN anyway. I’m wondering if any of the Muslim terrorists in the Caucasus have been (or are being) recruited by al Qaeda for potential attacks against the West? The most agressive attack by these people against a “Western” target was probably the Moscow theater attack, but are they planning anything in Europe or even the United States? Remember, people from the Caucasus could probably blend in better in the West than Pakistani or Saudi radicals, so I would think they would be prime choices as al Qaeda operatives here in the West. Any news of any of these people showing up in al Qaeda training camps? Libertyship, its a good question. Officially, the Emirate considers America, Israel and its allies as enemies. However, representatives of the Emirate have clearly stated before that they have no need to attack the West and that it simply is not in their interests. So its only a symbolic gesture to get across to the outside. However, there’s always the potential that there could be links to Al Qaida, but the data is sketchy. Currently, the Emir of the foreign fighters is Mohanad but not much is known about him and from what I have gathered, he doesn’t have too many foreign fighters left under his belt (supposedly theres more Turks, than Arabs, in Chechnya right now). There are some Chechens who have gone to Afghanistan and Pakistan. The latest find is a man named Amir Abu Zarr who was a Chechen commander. He fled to Afghanistan sometime around mid to late last year. Supposedly, he tried to get back into Chechnya sometime around summer of last year (if i remember correctly) but could not get in, so he went to Afghanistan instead. So, the possibilities are there that individual Chechens could develop the emphasis on transnational Jihadism as far as their priorities go (in other words, theres a good chance they would be leaving the Caucasus-cause to an extent, or only using it to serve a more transnational purpose). However, as far as the Caucasus movement is as a whole, I still see it as a movement that’s using the language of transnational Jihadism in its rhetoric, but for now, its limited to the Caucasus and Russia, as far as their agenda goes. Using transnational jihadist language is a way to get support from the outside in my opinion, and become networked with other movements even if it is indirect, but the movement does not pose a direct threat to the west in my opinion. Because this movement realistically recognizes that it’s in for the long haul, its planning ahead and im sure, at the very least, it would absolutely welcome more foreign fighters, including strong support from Al Qaida (if AQ has the capacity to provide it) in exchange for using the Caucasus as a safe haven for future attacks against the West. So, the potentials there, but I think movements like Somalia, Afghanistan, Iraq and Pakistan are stealing the spotlight and for the time being, the Caucasus Emirate is pretty much on its own. Thats just my estimate. Midnight: concerning your statement. I do agree that there were murky and sketchy conditions in both the Beslan school siege and the theater siege (I think your talking about the theater siege since you mention gas; if i remember correctly it was an experimental gas used for knocking out elephants). However, its not the main purpose of my article. My article is sticks to these points: the latest rhetoric from the Emirate, the latest actions on the ground, the latest political decisions, and what it all potentially signals for the overall strategic platform the Emirate is adopting. However, I am very critical of Russia as well, and I do believe theres potential for Russian Intel to be involved in certain cases, and have read plenty of very frightening cues concerning these things. However, its not the topic of my article. If you want my honest opinion, I even think Shamil Basayev himself was a very suspicious and mysterious man, despite he had plenty of airtime (more than others) to let the world get know him. There are plenty of murky conditions im aware of that make me question the official story of the Beslan siege, such as the fact that much of the fighters (mostly Ingush) were supposedly in a Russian prison and released under strange conditions right before the attack was carried out. At the end of the day, we just don’t really know the ultimatum on what to conclude concerning these things, we just know possibilities are there, and it ain’t clean on either side. However, I do agree this would be a very fascinating thing to write about and if someone else wants to write an article about Russia’s war games and dirty Intelligence, I would love to read it! But its not my topic. I did not even include the details of the Mujahids side of the story concerning these terror attacks, so I don’t think I need to go into detail concerning the dirty deeds on the part of Russia. I will say, no matter who did what, I still don’t agree with taking civilians hostage; ESPECIALLY CHILDREN, knowing that if it comes to it, theres still the possibility they might have to be put down. However, I also understand the psychological drama much of these terrorists went through in both Chechen wars (almost every mujahideen commander I can think of suffered great losses at the hand’s of death squads and kidnappings in which innocent family members were kidnapped and killed, and I would certainly not rule out psychological drama that radicalized them even more. I by no means support Russia’s tactics in this war and am not picking sides). Regardless of what details are true or not concerning Russian intelligence, i still think taking civilians hostage is a monstrous act and im not way going to stand up for the Mujahids in this case, just because Russia may have some dirty involvement as well. These details just have no place or need in this article’s topic. I am not concealing information or spinning this off as some good guy/badguy story where Russia is innocent. I would hope thats not the impression you got. Its just not the point of the article. The “Emirate” exists only in the minds of dillusional fools. With the present level of violence Umarov posses less of a challenge to Kadyrov than does a rainy day. Lets even pretend that there are 500 fighters in the wood and 5,000 more active sympathizers and supporters in the villages and cities, that is not even 1% of what the insurgency used to be and frankly those numbers are probably 2x larger than the true size of this “movement.” By your own analysis he is claiming responsibility for 2-3 suicide attacks in as many year — barely news worthy. Following the latest attack in Grozny, Kadyov cracked down harder on the militants. Around 10 or so of them have been killed this week in cleanup operations in Chechnya, including the entire cell that the latest suicide bomber emerged from. Kadyrov has a top notch intelligence operation in place. Militants rat each other out as soon as an attack happens and the people behind it rush to collect credit. So, even when Kadyrov’s people fail to prevent an attack they typically wipe out the cell behind it usually within a month. Umarov has no real control over these cells, if he did, he would be liquidated along with them. He hides in the woods and issues the occassional proclamation to give the illusion that he controls day to day activity in the insurgency when it is clear he often goes weeks without even learning about certain attacks. However, your estimate of the number of fighters is at being 500 or less is a bit off. I have heard most estimates at around 800 (at the minimum) or more as far as active reserves go. Also, the current tactic of the Emirate is to keep a solid base of no more than 2,000 at a time. Anyone who wants to join the resistance is put on a holding list and joins as active-fighters when others die. This ensures that the movement is in for the long haul. Thats the thing about it. They have realized the fact that victory can’t be achieved in a short amount of time, and they are trying to create a network that can sustain itself indefinitely. This strategy is something that goes back as far as Aslan Maskhadov, who said the resistance should have no more than 2,000 active fighters at a time. Also, in my article, I never claimed this is going to be anywhere near the level of violence in Iraq or elsewhere. Its obvious the conflict is not in it’s pinnacle at this point in time. However, thats all the more incentive to launch suicide bombings in order to create headlines to give the impression that security has not been achieved. Its a logical step, and can potentially be desperation to. However, im not using the 3 suicide attacks as the cue for which things are getting out of hand or unstable. I simply refer to the 2008 attacks, with emphasis on the one in Vladikavkaz, as evidence to show that Dokku has chosen to endorse suicide bombings against CIVILIANS in relation to the official comback of the Riyad-us-Sulaheen brigade which came way later (last month). Incase it wasn’t apparent, the point of my article is not to state the resistance is going back to the power it had even in 2006 as far as active fighters go. My point is the alternation in tactics the small-scale resistance is showing signs in adapting. Its about the strategic implementation, not a rise in power. Your taking my articles premise out of context. Their numbers may not be at the level of even 2006, but what i am stating is that they are reverting back to the tactics of the era of 2004 and before. ALSO, i hope you do realize attacks have risen in recent years in the Republics of dagestan and especially Ingusetia, which is the most unstable republic even rivaling Chechnya. The insurgency in Ingusetia has actually had some success. It created enough of an atmosphere of de-stabalization and insecurity that even Ingush president Zyazikov was dismissed from his post due to the situation, and replaced with a more hardline president with more experience in military warfare: Yunus-bek Yevkurov. On top of this along with successfully stripping down plenty of government officials, and causing fairly large amounts of officials in gov and security to resign posts. I can give you plenty of examples of the deteriorating security situation in Ingusetia. It comes as no surprise that the Emir of the entire Caucasus Front is an Ingush based in Ingusetia (Emir Magas), and no longer Chechen. There are plenty of reports of young people heading for the mountains to join the resistance. Infact, im even seeing evidence of this in many of the latest attack videos hitting the internet, where a lot of the fighters look young and sport no beard. While the numbers are not as high as previous times, they certainly have increased over the last 3 years. On top of that, as analysts stated (including Radio Free Liberty in March) that tensions are heating up between Ossetians and Ingush concerning land disputes, refugees etc, and there is even an Ossetian based group claiming to take up arms against Ingush. WIth the annexation, the Emirate may even be playing off the political-atmosphere to try and stir up sectarian tensions between Ingush and Ossetians. Its not all out of question. Its still speculation at this point, but i would not underestimate things on the ground. While the Chechen insurgency has been crushed (in comparison to earlier years), keep in mind that the resistance in Dagestan, Ingusetia and to some extent Kabardino Balkaria has actually risen, not to mention it wasn’t even present in these provinces to a notable degree before 2005. Once again, my article is about the strategic direction of the movement. If you feel I am stating that the resistance is making the big comback as far as numbers and ability to take over territory via de facto force, be my guest and quote me on it. Infact, i clearly stated in my article that the type of tactics the resistance is adopting will in no way win a war or take territory. Its a tactic to illigitimize the government in the short run. HOwever, I would not rule out a comback that shows signs of higher strength (though nothing reminiscent to 2006 or before), but I am not going to put my bets on it at this point. I would love to discuss the growing number of attacks in Ingusetia and Dagestan in recent years, but again, not the point of my article. Once again, look at the points in my article, and the way its related to the title. Infact, let me just narrow you in on the main noun in the title of my article: TACTICS. Not Uprising or anything like that. I think you missed the point. And yes, I would consider the one single suicide bombing in Vladikavkaz last November to be HUGE news. Not because the attack itself means anything, but because Dokku has endorsed it, in relation to his rhetoric concerning civilians as legitimate targets, and bringing back a suicide brigade, all in the same speech. To me, thats big. Real big. WHy? because we have not seen the adoption of these tactics, even in a verbal sense, since the days before Abdul Suldayev. I rest my case. Once again, if you think my article trys to make any other point besides this, be my guest and quote me on it. advanced using terror tactics and efficient at the same time. Indicative of a serious nature to the entire dillusional situation. I believe that within the coming days it is going to become your subject matter and that is all that I have to say. Extremely good discussion, however. the may 10 explosion is too iffy (at best) at this point to include. I don’t deal with sketchy theories like these. If it turns out theres evidence thats supporting it was indeed an attack, then i will take the claims on Kavkaz more seriously. Im not going to rely on KavKaz center as the sole piece of evidence to make suggest such a claim at this point, and maybe a few conspiracy’s out there. Therefore, its not included. But, if however, there is something shocking or convincing, i am willing to read it. I understand you are writing about terror tactics but a discussion of terror tactics is incomplete without addressing the Russian intelligence machine in place in these places to prevent them and the tactics adopted the Russians. Inghusetia is a republic of 500,000 people. If the same number of security people operated there as do in Chechnya the republic would be placated in a week. The terrain in Ingushetia is also less problematic for the military than the mountainous south of Chechnya. The currrent situation is only tolerated by the Kremlin because they fear a Chechen style crack down will result in excessive property damage and loss of life, The current low level of violence is more acceptable than going in and completely cracking open the hornets nest. Especially when virtually all the casualties on Moscow’s side are seen as expendable local Ingush police. Nobody in Moscow sheds a tear for their loss. That said, you are seeing the Ingush leadership starting to take a harder line and even cooperating with Kadyrov to crack down on militants in Ingushetia. This is a new development. Dagestan is more problematic and I could write a volume on the situation there and the KBR could explode too, but with every passing year large scale violence is becoming less and less likely. If there really were lists of reserve rebel formations of 2,000 happy volunteers and 800 active fighters in the woods they would try to pull an attack like the Nalchik attack in 2005, but the truth is they cant. The Russian intelligence apparatus is too good in these places. If only their political institutions were half as good there would be no insurgency. Large scale rebel attacks in rapid succession of the sort we saw in Basayev’s day are simply not possible given the number of informants in place today. Even if such an attack does happen it is a one off occurrence and it takes the rebels years to gain the strength to pull off another. Such an insurgency is not going to topple governments it will simply stagnate the economy and kill innocent people in a slow and unsteady trickle. The rebels are being slowly turned into another ETA, a group that could only make it into the press once in a blue moon. The Russian have experience with this sort of thing. Bandera in Ukraine plagued the NKVD for decades with the same sort of hit and run garbage, targeting local police and Soviet authorities. He failed and so will these jihadis. The Russian intelligence machine in these places is just too big and too well funded. Every time a young man goes into the woods they learn about it from informants even before the young mans parents do. Informing is a business for many people in these republics. And yes, the rebels get their intel the same way, but Moscow has the bigger wallet. agreed. I said, i would not place a bet on any type of major uprising with the capability of taking territory. Though attacks have increased in these provinces, its still going to be hard for it to rise to a level with any threatening ability to Russia’s grasp on the territory. I am purely stating the signs that show the strategic route the Emirate will ATTEMPT to take. Whether they will succeed, thats another thing. If you want my honest opinion, no I don’t think the Emirate is going to reach anywhere close to its goals in the North Caucasus, but I do believe it will be around and sustain itself, for what its worth, for a long duration. Nowhere in my article do I discuss whether it will be successful or not. This is all left up for the future and actual actions are speculation at this point, which is why I don’t wish to include it. I am merely giving an analysis on a major breakthrough of change concerning the direction the movement has decided to adapt even if it will be a pitiful attempt, and what they seem to be implying and what they will attempt. Dokku’s latest statements are a major U-Turn compared to what became of the movement after Sadulayev and I think its important to take note of. Anyone who has followed the Caucasus movement for the past 10 years knows this is quite a change, even if its just rants and hype. For example: when Zawahiri releases an audio statement, we realize we should only take much of it with a a grain of salt, but its still important, it still gives insights, and its still worth putting on the front page of CNN. I think thats what were missing here in our understanding of this article. In all honesty, I think were probably more in agreement than we realize. You speak of the failure in Kabardino back in 2005 when they used sabotage operations via an a pitiful attempt at De facto force. I clearly stated that the insurgency is showing signs of adopting tactics that don’t rely on De facto force, because quite frankly, i think its pretty obvious the movement just does not have the capabilities at the moment. Its easier to launch high-impact attacks while sustaining assassination operations, which get media attention, such as suicide bombings and high profile targets (and who knows, maybe hostage operations at worst, though i dread to think about this). As to whether they will have the logistical capabilities with these crackdowns going on right now, we will just have to wait and see. At the end of the article, im still leaving the future up for speculation, and like you said, this would be based on logistical capabilities or changes on the ground that may continue to influence the strategy they choose for implementation (it wouldn’t be the first time Dokku goes back on statements and quickly draws back to his previous position). I absolutely agree, operations similar to Kabardino 2005 are limited at this point. But the current tactic they may be adopting works for the very fact that it doesn’t require De Facto force. I stated clearly in my article when I said these tactics will NOT consolidate territory via de facto force, win hearts and minds or win wars or battles. Its a tactic to embarrass gov, which is suitable at this point in time since Russia recently ceased the campaign. My main idea is that this change of direction may be a response to Moscow and Kadyrovs statements that the insurgency is defeated. Its similar to the first elections in Iraq, when Al Qaida could not show it had the power to stop them and looked rather weak and pathetic at the time, so it had to resort to bombings, sectarian tension to create an atmosphere of instability to undermine the gov. Whether Dokku will have these capabilities to create such atmosphere is still future speculation, but its certainly the strategy he seems to be aligning with. We have to remember, it only takes a few well coordinated high-impact terror attacks to create an atmosphere of fear and instability. Something Dokku may gamble on, since operations using De Facto force are certainly out of question. Logistics have no place in my article. My article is focused on the ideological spectrum Dokku has adapted and what he may try to do. Lets just wait and see whether he can actually walk the walk, and talk the talk. I understand what yours saying, and I find it very interesting as well. However, I wouldn’t paint the picture to be completely rosy for the Russians or the Republics. Your right in that the movement will not become a total force to be reckoned with anytime soon (obviously we havnt seen any videos in recent times showing more than 20 mujahids in the scene at once; lucky if there are even close to 10). I think anyone who follows this movement even a little knows that its been torn down compared to the pre-2006 period when amnesty kicked in and hundreds surrendered. Even by 2005 things were looking pretty bleak and the numbers were watering down. However, numbers are still hard to estimate. Even the most actively engaged think tanks admit that these are hard to estimate. However, with full confidence, I know they are much higher than what Kadyrov states, and im sure you think so as well, not to mention Kadyrov’s estimates and numbers he claims keep fluctuating, making me even question whether he even knows himself. Also, having smaller numbers of active fighters does have advantages. Aslan Maskhadov always said that the insurgency should limit the amount of fighters it had, and that higher numbers would draw more attention. In Tony Woods book, Case for Chechen Independence he goes into this a bit more. Theres signs that the movement actually adopted this practice more so now, than under Shamil basayev who didn’t see eye to eye with Dokku. 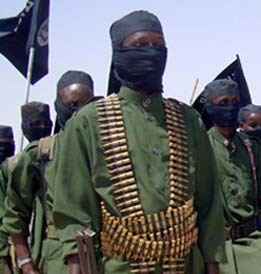 Infact, some thinktanks have suggested that the reason for which the Caucasus insurgency remained a bit more quiet than usual in the last half of 2008 (besides the fact that the Georgian/Russian war stole the spotlight) was because the Emirate is in the process of gathering stocks of fighters for 2009. We will just have to wait and see if the cues on the ground match up to the rhetoric which Dokku spews. So far its not out of question. The insurgency has been growing in Ingusetia and Dagestan for some years now. However, I agree with you to an extent, in that it can only grow so much, realistically, before it hits it’s peak. Its just a question of when. With these latest strategies to unite forces in hte 3 republics for more fierce counter terror measures, it could come soon. But I am not going to make any bold predictions on this at the moment. Even the thinktanks can not determine this. I provide analysis on what is going on currently, and the latest statements from Dokku, changes in the political spectrum, and their relationships with some recent attacks are what I put on the table, and what is current. As for the future, lets wait and see. I don’t care how limited the Emirate is; if Dokkus going the “Basayev” route, even if its just ideologically, i think its very important and a major change that is in fact much more than “hardly news worthy.” Anyone who is interested in this movement should be aware of it. I am a long time follower of the Caucasus movement and for me, Dokkus latest statements not only come as a shock, but are by far the most interesting alteration ive seen in this movement in quite some time. All the actual actions on the ground (such as the 2-3 suicide bombings) were simply to make links to Dokkus rhetoric. For example, reinstating the Riyad-us-Saliheen brigades isn’t enough for sure to conclude that suicide attacks are back on the table, since this brigade didn’t just conduct martyr operations (though it was certainly an emphasis and what it was known for). So, bridging the revival and the rhetoric with a suicide bombing against civilians and calling it the “test run” for the groups revival says A LOT. As for the actual suicide attack itself, no it doesnt mean diddly. I wasn’t hyping up the suicide attack itself. But I do respect your analysis concerning the potential odds for which there can be limited success and the logistical abilities which may plague the Emirate. Its just not the discussion or emphasis of my article. I believe we should just wait and see what happens on the ground in coming months. Ive reported on the propaganda, the decrees and the rhetoric. Now lets see what happens. dirty terrorists must be destroyed and they will be destroyed.dokku and all his relatives must be slaughtered. As long as our leaders keep trying to finesse’ Muslims into being agreeable, we can expect this thing to drag on forever. Forget a 50 years conflict, and remember this has been 1400 years in process. Acknowledge the personal history of their primative and violent prophet. publically endore the translation of the Dead Sea Scrolls which debunks the Koran’s revisions of the Old Testament, and above all, begin to produce our own oil. It’s in the ground and we know where it is. I have read your article, and some of your comments as well. Most of the points you make are true. I agree with that statement. And there is no threat to the West from the mudjahedeen side. Nox, I am aware of the death squads, brutal tactics and atrocities committed in the region and I am by no means a fan of Kadyrov. However, my article is not an article on human rights, so it has no place. As for Dokku’s statements, he specifically addresses the issue of citizens. So, we can theorize on what he really will do or won’t do, but he does address them and he did endorse a a suicide bombing against civilians. I don’t see how we can turn a blind eye to that.